Versatility comes in all different shapes and sizes, and one such example of sheer grace is these smart and uber-chic rimless frames by Vincent Chase. A perfect work-centric frame which is no less than perfect when it comes to style. Don't be confused with its nerdy look, these are as fun to wear as are your weekend casuals. Its rimless frame gives you the freedom from boundaries and keeps all eyes on you. These offer an obstruction-free view of the world and are crafted with the durable combination of TR90 and stainless steel. Additionally, these Gunmetal Blue Red Rectangle Eyeglasses by Vincent Chase are super light to wear and easy to carry. 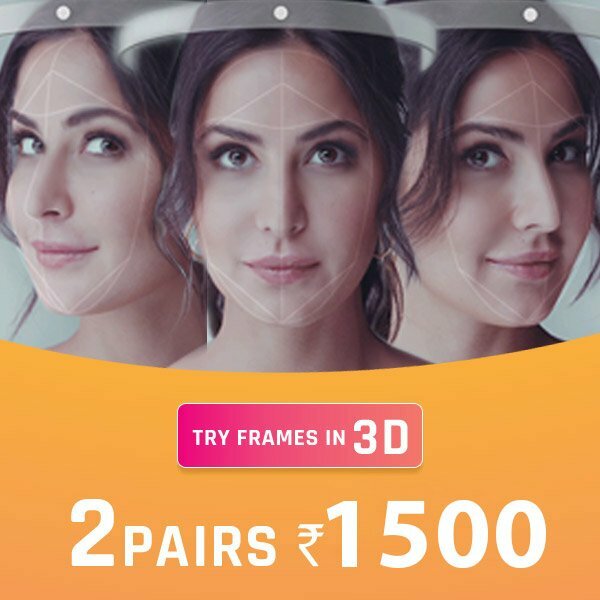 Rectangle frames like these offer round, oval and heart-shaped faces a great appeal and even add more structure to their soft jawline. This appealing Gunmetal Blue Red colour gives the frame a voguish uplift. This frame is a part of the popular Vincent Chase Lumineers Collection. Lumineers bring back the popular feathery light styles from the rimless era. Its highly flexible TR90 frames better withstand the impact on falls as compared to regular framed counterparts.